Toy dogs have big personalities, sometimes much bigger than their small bodies would suggest. But whilst body size does not affect a dog’s character, it does affect its growth rate and life expectancy. That is why Eukanuba has extended its range of diets to now include a new line-up for dogs weighing up to 4kg: Toy Breed. The Toy Breed range is designed for very small dogs to keep them lean and fit. It can be very easy to overfeed a toy dog because just 5g more than recommended with every meal can lead to excess weight in the long run. For example, if a toy dog weighing 3kg were to put on just 400 to 500g, that is a 15% increase in weight, it would be the equivalent of a 70kg human putting on 10kg! It is with this in mind that the Eukanuba Toy Breed diets for Adult and Mature&Senior dogs are formulated with L-Carnitine to help maintain a healthy weight. All diets including the Puppy diet have higher levels of prebiotics to promote healthy digestion. 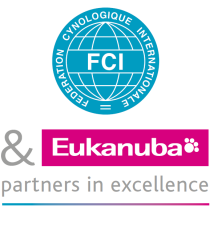 And, as with all other Eukanuba diets, the Toy Breed range is specially formulated for dogs at different age, providing them with what they need throughout their life.